According to the City of San Diego official recycling website, there are more items allowed in the recycling blue bin than you might think. The following image can help answer some common questions, but always check with you district for rules and regulations. 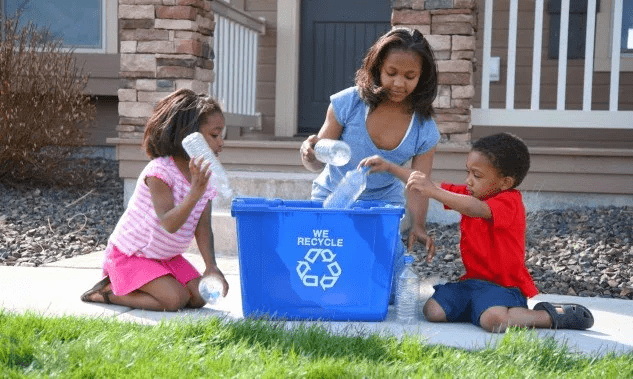 These items are allowed in the blue recycling bin; if you live in San Diego, you can follow these guidelines to help you understand what to recycle next time you encounter a blue bin in public. In addition, San Diego also has a green bin for plant materials such as branches, leaves, untreated or painted wood, leaves, flowers, grass and undecorated Christmas trees. The following guidelines are for residential homes and are officially made by the city of San Diego. Space containers three feet from each other, cars, and obstacles. For more clarification, we have included a video from the city of San Diego.